I'm sure you can tell by this post and this one, I'm a nail polish addict. So, imagine my excitement when I heard OPI, Clark + Kensington, and Ace Hardware collaborated to create a line of interior hues for your home, office, or whatever space you desire to paint. 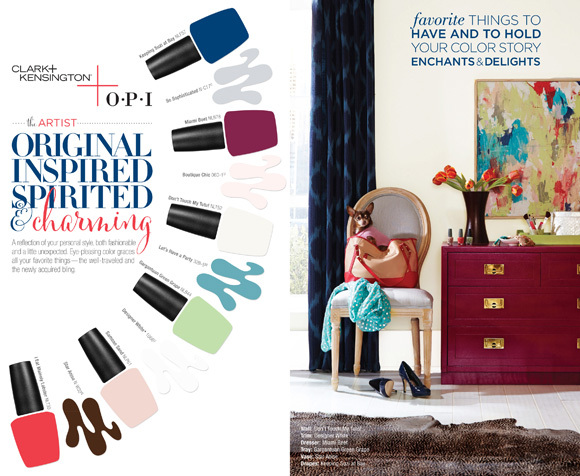 How cool is it that you can now have you're favorite nail color be on your living room walls?